Village School is a place where children discover themselves as learners in a warm environment where they are known and valued. Village School fosters each student's sense of self and inspires social responsibility by integrating character education into a stimulating learning environment. 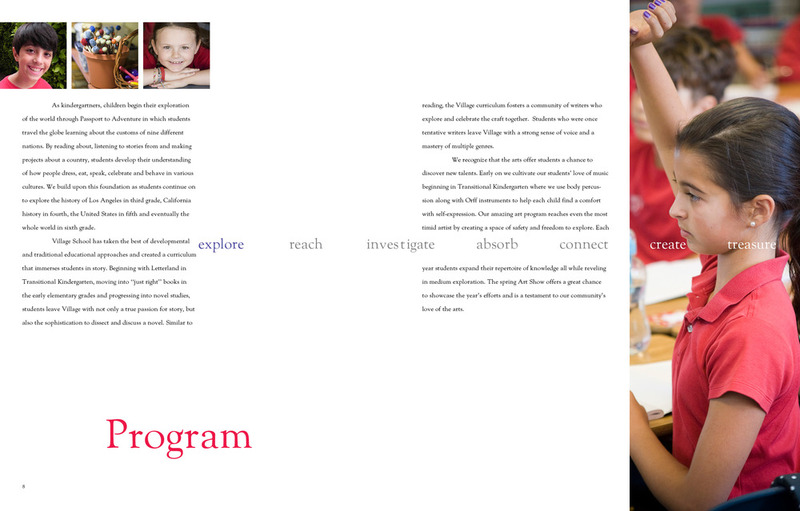 The Village School Viewbook highights this with it's warm photos, inspiring text and welcoming format.